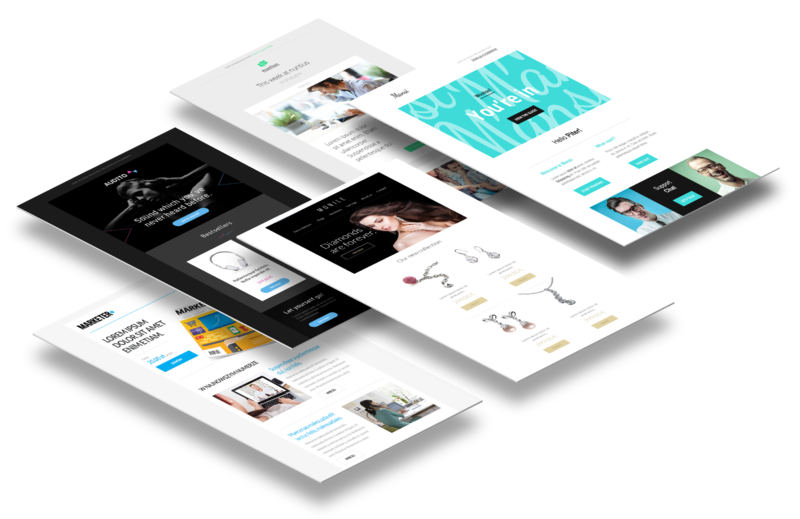 Make use of dozens of free and beautifully designed mailing templates and newsletters. With FreshMail Designer, you have the freedom to edit, personalise and send them out without limits – and watch your campaigns bring results to be proud of. Automate your communication with subscribers. Create lead nurturing programs, e-learning courses or take advantage of easy-to-use cyclical messages. Let FreshMail respond to all of your customers’ actions for you. Mass mailing is the most effective advertising form on the Internet. Find out who is opening your newsletters and clicking on the links in your email messages. FreshMail has many useful functions, which will optimise your mass email communication. You will save a lot of time and increase the effectiveness of your deliveries. Our advanced technologies are as easy as 1, 2, 3. Before sending an email, check how it displays in the most popular email clients and make sure it is not classified as spam. Create high converting pop-ups and newsletter subscription forms. Make light work of building your subscriber database. Send emails at times when the click ratio is the highest and boost the effectiveness of your campaigns. Explore the most effective solutions by testing alternative subject lines, email content and template designs. Aim for people ready to buy using geolocation, behavioural and declarative data. Boost engagement of your subscribers using all available elements to personalise your emails. Use auto-responders to automate campaigns. We have received multiple awards in email marketing category for the highest ROI and the creativity of our solutions. I really love the builder and how you guys made analyzing campaigns so easy! Also, your support managers always help me. The price is very fair. FreshMail is surprisingly easy to use, surprisingly functional and absolutely reliable. Simply the best! A regular newsletter is the best way to build your brand and drive sales and FreshMail has ticked all the right boxes for me - solid system, reliable delivery and fair price. We've checked many email marketing systems, but FreshMail turned out to be the best! Our Quick Response team knows FreshMail in and out and it’s always ready to help and advise. Access all of FreshMail's features for 14 days absolutely free!